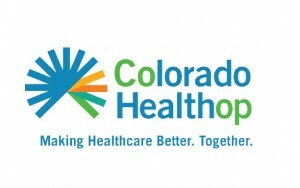 In a mature and professional effort to help customers after regulators turned off the life-support system, Colorado HealthOP threw a hissy fit and blamed Republicans for the co-op’s gross mismanagement. Democratic U.S. Sen. Michael Bennet, by the way, has still not uttered a word about the decertification, because election year. If this had even a kernel of truth to it, then the liberal media would be all over it bashing the GOP for killing the program, right? But, as we reported just days before, the coop somehow managed to lose $23 million last year and was demanding the feds (taxpayers) to make up for their loss. Federal health officials have been cracking down recently on many of the plans, warning them that their finances, enrollment or business model needed to shape up. Some state regulators have applied pressure of their own. But it was a move by the Department of Health and Human Services that the four closing co-ops say was critically destabilizing. HHS announced Oct. 1 that it could afford to pay insurers participating in the federal and state-run exchanges just 12.6 percent of nearly $3 billion they were owed under a temporary provision of the health-care law. Known as risk corridors, it is intended to help cushion insurers that end up with sicker customers and bigger medical claims than they had anticipated. So wait, this funding was only temporary to begin with? Congress didn’t pull the plug? I suppose we shouldn’t be surprised that an agency so careless with $23 million in taxpayer dollars didn’t take that into consideration. « SERIOUSLY? Denver Dems Annual Fundraising Dinner Is Named After Ted Kennedy?